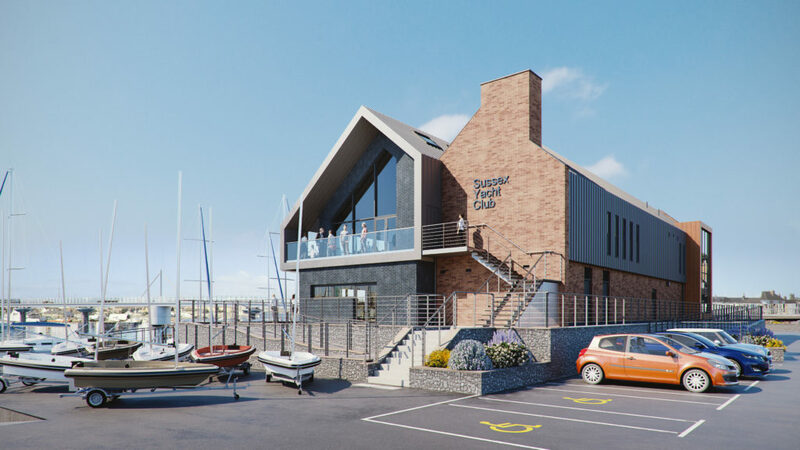 ECD Architects were appointed to redevelop the Sussex Yacht Club including re-organisation of the site with a new clubhouse and ancillary workshops, as part of Council plans to build new flood defences and a cycle path along part of their site. 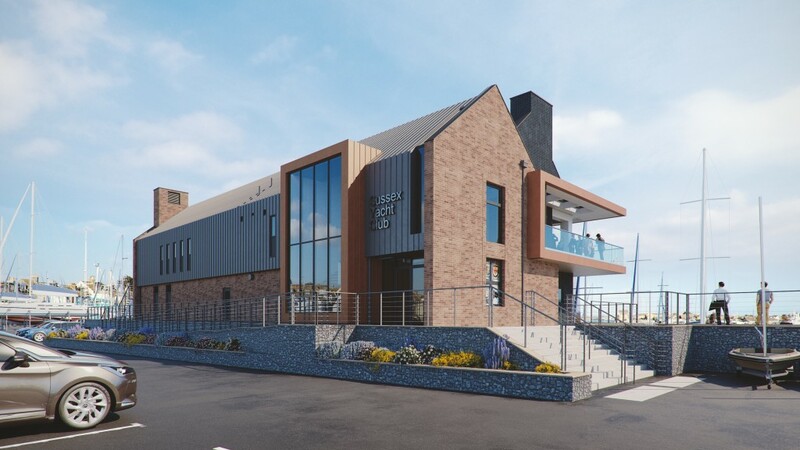 The building has been designed as a contemporary take on a traditional form to complement the historic vernacular of the town and its architecture. The design builds on a language of yacht architecture and subtly resembles the existing clubhouse, which is a popular local landmark. 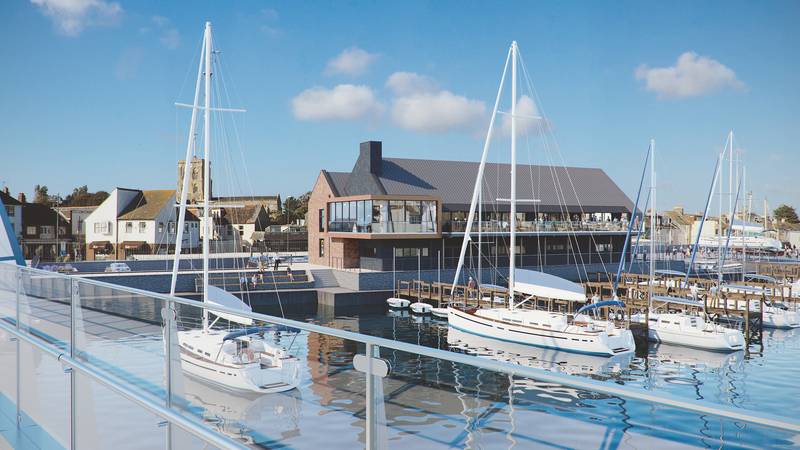 The exposed riverside location and coastal architecture of the broader surroundings has provided inspiration for the scheme. The materiality, using standing seam cladding and brick, is designed to be contemporary, robust and low maintenance. The building needed to be raised on a plinth to mitigate flood risk, to the building form had being designed to be as low as possible to minimise impact on important local views, from across the river to the church. The resulting double pitch roof minimises the overall mass and the two extruded forms are slipped to create depth and interest.